Cryptocurrency markets are affected by a wide variety of factors. Besides things like government regulations, investing cycles, and FUD (fear, uncertainty, and doubt, another key factor that impacts the market is the activity of the so-called “whales.” A whale is a person who has an extremely high amount of capital to invest in the cryptocurrency markets. These people are called “whales” because the whale is the largest creature in the ocean, so cryptocurrency whales are the largest players in the market. Although some individual investors are whales, they can also be groups or companies such as hedge funds or trusts. Any party who has a high amount of capital to invest in cryptocurrencies can qualify as a whale. Nakamoto was the original creator of Bitcoin, and it is said that he owns around one million Bitcoins. Though he can technically be considered a whale, it is unlikely that he would unload his BTC holdings, at least all at once. The Winklevoss twins are said to own hundreds of thousands of Bitcoins. The twins purchased BTC as an investment, so it is possible they will sell off their holdings at some point in the future. To put their investment into perspective, one hundred thousand Bitcoins is currently valued at around $1,100,000,000. This makes Cameron and Tyler Winklevoss (and Satoshi Nakamoto) Bitcoin billionaires. Many other of the top individual whales could soon become Bitcoin billionaires as well, if the price continues its upward trend. Is the U.S. Government a Whale? At one point in time, the U.S. government was, indeed, a cryptocurrency whale. This is because they had seized approximately 144,000 Bitcoins from the illegal goods exchange site, Silk Road. The U.S. government shut down Silk Road because illicit items were being sold on the site, such as narcotics, weapons and ammunition. When the government shut down the site, it took control of about 144,000 BTC, which it soon proceeded to sell. The government made approximately $48 million from the sale of these Bitcoins. When the government sold off Bitcoin that it had taken control of, the current market price of a Bitcoin was only $334. If it had waited a few more years to sell the, the U.S. government would have made billions of dollars, instead of only tens of millions. The activity of whales can have a major impact on the cryptocurrency markets, including individual crypto prices and market capitalization. When whales make trades, they often do it for tens, or even hundreds of millions of dollars. These massive sell or buy orders can lead to sudden and significant price changes. When a massive buy order is placed, it can move the price of a specific cryptocurrency way up because it sends a signal to the market that the particular asset is in higher demand. When whales create a massive sell order, the price can go in the exact opposite direction because it sends the opposite signal to the market and causes the asset to look like it is being unloaded. Basically, when whales make major buys or sells, they can influence the market which then causes a cascade of buy or sell orders. It is estimated that approximately 40% of all of the Bitcoins are held by roughly 1000 people. With so few people holding almost a majority of BTC, any significant buy or sell from these giant investors could tip the Bitcoin market in either direction. The fact that high percentages of cryptocurrency markets are held by a select few whales makes some people fear that cryptocurrencies are ripe for manipulation. Even if just a few whales colluded together to create a massive sell order, they could drop the price of a certain cryptocurrency dramatically. Then, they could all buy back at the reduced price and take cryptocurrencies from the so-called “minnows.” Minnows are people who only hold a small amount of cryptocurrencies. 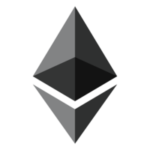 There is debate in the cryptocurrency community about the issue of manipulation and there is a wide range of feelings towards manipulation. 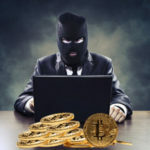 Some people think cryptocurrency manipulation is very real, others thing it isn’t, and others still, think that it might be real, but if so, it doesn’t matter that much. Regardless of people’s opinions on the matter, it cannot be denied that cryptocurrency markets go through intense boom and bust cycles. In fact, the price swings in cryptocurrencies are so intense that they make cryptocurrencies one of the most volatile assets in the entire world, and therefore, one of the riskiest to trade. In its roughly 9-10 year history, Bitcoin has gone through tremendous price swings. The most recent has come in the past two months when the price of Bitcoin dropped from just about $20,000 all the way down to a low of about $9,000, losing over fifty percent of its value in a matter of weeks. Despite the dramatic “price crashes” that Bitcoin and other similar cryptocurrencies go through periodically, many of them seem to recover from them extremely quickly. In late summer 2017, Bitcoin dropped all the way from around $5,000 to about $3,300. Then, it quickly rebounded; going on to make new all-time highs very soon afterwards. This seems to be a major pattern with cryptocurrencies; they crash suddenly and then quickly recover and surpass the value that they had when they crashed. This begs the question; just exactly how much does any manipulation or activity of whales matter? It seems the answer is that these things can impact cryptocurrencies on the short term, but in the long run, cryptocurrencies have a pattern of shaking off any such influence. Just as some whales like to make large trades to try and make short-term gains, others like to “hodl,” or hold on for dear life. 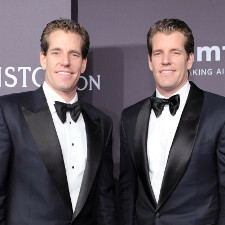 The Winklevoss twins are the perfect example of whales who like to hodl. Cameron and Tyler Winklevoss have reported that they have not sold a single Bitcoin since they poured $11,000,000 into Bitcoin investments following the payout they received from Mark Zuckerberg over the Facebook intellectual property theft lawsuit. It is highly likely that many other whales are also holding on for dear life. After all, people who were willing to make large enough investments in Bitcoin or other cryptocurrencies during the early days are people who most likely had a huge amount of faith in the cryptocurrency. People with this level of faith probably believe that cryptocurrencies will be worth a lot more money in the future. Thus, why should they sell now when they can hodl and make millions or even billions of dollars more in the future? When whales hodl and do not sell their coins, then it reduces the amount of overall coins there are available to be purchased on the market. This can put upward pressure on cryptocurrencies and push prices up. The fewer cryptocurrencies there are available, the more scarce they become. Scarcity is a factor which can make prices higher and is a big part of the reason why assets like diamonds and gold have such high prices. Essentially, whales holding large amounts of cryptocurrency can be a contributing factor to the increases of crypto-assets over time. Considering the fact that the price of many cryptocurrencies such as Bitcoin and Ethereum have been rising steadily for years, it is highly likely that the whales who are hodling may continue to hodl for a long time to come before they finally make the decision to sell. If there ever comes a point in time when many whales decide to sell all at once, then it could cause a very serious market downturn. However, such an event would also create an opportunity for people to buy. New whales could even be created by such an event. Whales are an incredibly significant part of the cryptocurrency environment. Their actions can create price swings up or down which can cause strong reactions in the market. Some whales make frequent trades that are high volume, and many others simply accumulate as many cryptocurrencies as they can and hold. Regardless of whether whales are holding or trading, they tend to affect the market either way. While hodling creates scarcity, active trading creates volatility. Many hedge funds and wall-street type investment houses are just beginning to trade cryptocurrencies. This is largely due to the fact that Bitcoin futures were recently launched by the CME and the CBOE. As more hedge funds and investment banks begin to pick up cryptocurrencies and add them to their books, this could create an entirely new class of whales that has not yet been seen. This could drive trading volume up tremendously and could be even more true if an ETF gets approved for Bitcoin or other cryptos. Multiple attempts have already been made to get such an ETF approved, but they have all failed so far. Despite the fact that many large institutional investors are beginning to enter the cryptocurrency markets and become whales, many others are missing the opportunity. JP Morgan Chase & CO. is one example of a bank that is opposed to cryptocurrency trading. The CEO of JP Morgan Chase, Jamie Dimon, even threatened to fire any of his traders who attempted to trade Bitcoin. In the next few years it will most likely become very clear if Jamie Dimon and the many other notable cryptocurrency critics were right or wrong on their opportunity to become whales by investing large amounts of money early on in the cryptocurrency craze. If cryptocurrencies do turn out to be a fad, or a bubble, then the critics will be proven right. However, if it turns out that cryptocurrencies continue to grow and become and even more powerful asset class, then the whales will become even wealthier, and will control an even larger portion of the crypto sea.